Feel free to call us at 7696666022 or Email us at techsparks2013@gmail.com for Complete Guidance and Support for your M.Tech and Phd Thesis. Techsparks provide thesis help in Chandigarh to M.Tech and Ph.D. students. our main aim is to provide help to local and international students as much as possible. We have experts in different fields who have been offering professional thesis help in Chandigarh along with research paper writing assistance. And we are very proud that, we are helping in the huge number of students every month. It's not a big number to make our name in gunnies book of world record. But we can proudly say that Techsparks is the only institute with highly experienced and educated teachers. The thesis help service is not just limited to Chandigarh but to other cities as well. Our professional team is highly qualified and trained and has been working in this field for several years. If you are an M.Tech or Ph.D. student and are in need of thesis help in Chandigarh, then you are at the right place. We follow a specialized and topic-centered approach while guiding the students in their thesis and research work. The experts at Techsparks have flawless writing and technical skills to deal with any topic. Our experts will guide you through the whole process of your thesis and research work. Techsparks is a notable place for thesis help in Chandigarh. If you are in Chandigarh or nearby place, you can visit the institute. but, if you are not in Chandigarh, then you can visit our website for any kind of help regarding thesis writing. Finding a right person for thesis guidance can be a challenging task. Especially if you are looking for thesis guidance in Chandigarh, Jalandhar or M.Tech thesis writing help in Patiala then it can be really stressful for you to find a perfect thesis guide. If you are into M.Tech or Ph.D program then you have to choose the right thesis guidance consultancy at any cost so as not to regret later. To avail the services from Techsparks or any institute it is important to read all the details about that institute, make sure to read the reviews as well. At Techsparks you can find the thesis and dissertation guidance you need from a professional dissertation guide. Finding a perfect thesis writer is not very easy so scholars must do proper research before choosing anyone to provide M.Tech or Ph.D. thesis help. We fully understand how hard consultation for a dissertation or thesis can be and our dissertation consultants are ready to guide you at any time. Let our consultation services guide you craft your thesis, dissertation, or reference paper. When you choose Techsparks, you will get the dissertation guidance and thesis help in Chandigarh and other cities from a Ph.D. degree holder who has helped hundreds of students. Online thesis help and assistance is offered to M.Tech and PhD students. Every institute has its own uniqueness and some plus points. while these uniqueness doesn't mean that the institute is good or bad for you. its only depends on the user comfortability. one institute can be right for you while that institute has some bad reviews and one institute may be bad for you while that institute is good from another in the same category. All information is totally generated by our experts. Specialties - Some institute provide mix courses and some are just specialist to provide higher courses. professionalism - It is the one and only points that every student needs to apply while searching for an institute. Research Focus - Make sure that which institute you are choosing is up-to-date with the latest research in your topics or not. Expert Faculty - Faculty with center industry experience are constantly prescribed for career training. Feedback/ Track Record - Students must need to read or take feedback from other students about the institute. Cost - Last but not least. Remember your budget and discuss with them. if it is costly for you, just find another institute. Our guidance services can guide you regarding your complete individual chapters or your entire thesis or dissertation. We have professional consultants to provide you M.Tech thesis guidance in Chandigarh, Jalandhar, Patiala and other cities that you need at prices you can afford. Students not only from India but also from abroad have taken our service. We have the experience and are always ready to guide you regarding problems with your dissertation or thesis. Educated, experienced, dissertation guides have the time and knowledge to help you to complete your research work on time. Not only M.Tech thesis, we have professionals to provide PhD thesis help in Chandigarh, Jalandhar. Techsparks have been offering help and guidance for thesis in Chandigarh and other cities for the last five years and has helped students from the streams of Computer Science, Electronics and Communication, and Information Technology in their thesis work. We would continue to provide thesis assistance to students in the best possible way. Students can get in touch with us anytime for thesis consultation. - We employ only professional guides with university degrees. Our experts are experienced and have complete knowledge regarding the concerned field. 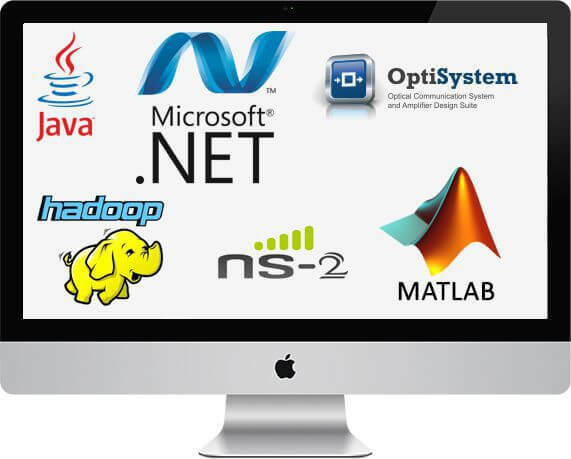 Our expert thesis writers provide assistance in all fields like Matlab, DIP and NS2. - Our consultants maintain the highest level of proficiency for m.tech thesis writing help m.tech thesis writing help in many subject areas and have full-access to academic, scientific, and internet resources. Online classes are arranged for the students in which they will be provided complete guidance on the chosen topic along with M.tech thesis help in Chandigarh and other cities. - We do not sell any kind of readymade thesis in Chandigarh. We assist students in their M.Tech and PhD thesis work. 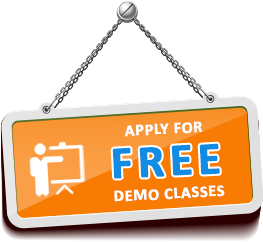 You can apply for the free demo classes. - Our dissertation-guidance services are competitively priced, offering a good quality for the price. We put the same pride, time, and effort in each and every order. We have successfully served number of students by providing them genuine M.Tech and PhD thesis help. - You communicate with your guide throughout the thesis guidance process. You are free to consult our professionals at any time regarding your thesis or research paper. - Our services are not limited to thesis writing but to thesis editing and proofreading as well. Editing and proofreading will improve the overall quality of the thesis and dissertation. Techsparks is the agency that offers professional M.Tech and Ph.D. thesis guidance in Chandigarh, Jalandhar, and other cities of India. Students can get in touch with us at any time for any kind of thesis work. The experts at Techsparks have more than ten years of work experience in this field having sound knowledge in different domains. If you have any query related to your thesis, dissertation or research paper, you can fill the inquiry form here. Online thesis support is offered to students. Reach us and we assure that you will get the best possible services for your thesis here whether you are from Chandigarh, Jalandhar, or any other city. Techsparks have been knowing as the best thesis Institute in Chandigarh. We believe in the quality of work. So, if student looking for thesis help in Chandigarh, then they can contact us on the given number and we assure that students will get a good thesis work from us. But they need to be more patience. Every master's or Ph.D. students know, to write a good thesis it can take more than expected time. Techsparks has a track record of providing good thesis from last 10 years. Experts at Techsparks also provide dissertation and research help in Chandigarh. Techsparks has been worked on several projects from thesis making to dissertation editing. Connect with us and get your free demo classes today. Make sure to fill the form with correct information, it will help us to reach you without any problem. And be ready to get your thesis on time.